Healthcare providers are hard pressed to give exceptional and personalized care to patients and have noted that a critical success factor in the optimization of patient care is based on consumers’ expectations that improved healthcare features truly patient-centric business models. Focusing on both provider and patient engagement before, during, and after appointments will prove to be the deciding factor in patient satisfaction and can prove to reduce healthcare costs. The healthcare industry is changing rapidly and moving away from high-priced consultants that conduct surveys and make recommendations towards data-driven project management that scales to match workflows and processes as they evolve. Ayoka Systems has aided healthcare providers in the implementation of custom software optimized for healthcare where communication between healthcare professionals, increased insight, and mitigation of error can be performed in a secure setting that is HIPAA-compliant. A key first step to influencing patient behavior “between visits” is digitally connecting patients to their providers. A patient-provider accessible web portal and mobile tools can serve as a means to securely exchange messages, view and share lab results, pay bills, schedule appointments, process insurance, and more. With this open communication line and increase in transparency, patients have a better understanding of their health and medical conditions, and show greater compliance in following prescribed treatment. The Affordable Care Act (ACA) is requesting that healthcare organizations adopt ICD-10 code set standards and operating rules and require documentation to prove that healthcare organizations are compliant. The stages of ICD-10 implementation readiness will make or break the ability for you to engage with qualified partners and vendors who successfully implement it. Ayoka can help tailor a plan of comprehensive implementation to address your organization’s needs to help while offering continuous delivery so that we can seamlessly integrate the new ICD-10 code set standards into your existing processes and while accomodating both ICD-9 and ICD-10 while your patients and clients work with your existing services offered during and after the transition to the new ICD-10 code sets. Today’s patients are looking for a unique, shared, decision-making approach with their healthcare provider, and offering an accessible mobile application or web portal in a confidential and secure environment will act as a catalyst engagement initiative between provider and patient. Ayoka is experienced in developing healthcare IT infrastructures that are HIPAA-compliant while supporting active patient-provider participation. 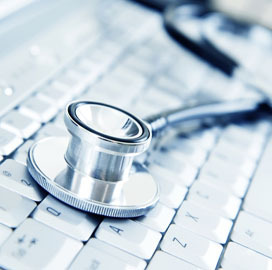 Contact us today to receive a free quote on your custom healthcare software needs!